Our company specializes in consulting services to a select number of industries, both in public and private, to support their IT means. Our mission is to provides end-to-end IT and business process services that facilitate the ongoing evolution of our clients' businesses. Our company helps businesses to select, implement, and provide continual functional and technical support in any suitable management systems software. We optimize the system functionality to offer great flexibility and value in order to address the specific needs of our clients. Furthermore, we are offering a range of hardware and software, like server solutions, backup solutions, accounting and inventory control, POS solutions, desktops, notebooks, printing devices and many more. 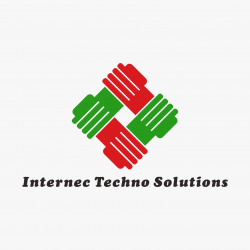 Exceptional functional and technical expertise makes Internec Techno Solutions the ideal choice for a consulting firm to manage your business efficiency.